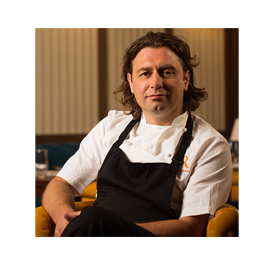 Celebrated chef Shaun Rankin and Flemings Mayfair - a luxury 129 room hotel are delighted to reveal exciting details about the Michelin-starred chef’s much anticipated restaurant opening at the boutique hotel in September 2016. 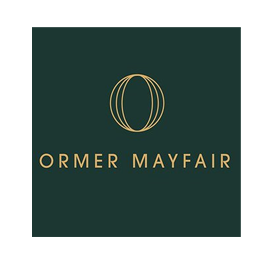 The name of the sophisticated 85-cover restaurant will be Ormer Mayfair – which Rankin will run alongside his famous Ormer establishment in Jersey – and will take inspiration from the St Helier shores, introducing it to the heart of London with a distinctive Mayfair twist, befitting its new luxury location. Opening its doors with Rankin at the helm on 14th September 2016, Ormer Mayfair will be a true celebration of British heritage, seamlessly drawing together the freshness of foraged herbs, English wines and seasonal produce from land and sea with the history of the iconic Mayfair hotel in which it is set. Crisp English sparkling wines will accompany light and refreshing dishes such as hand-dived scallops fresh from the Channel Islands or Jersey lobster ravioli in a crab and lemongrass bisque. Deep reds will pair tender meat dishes including venison loin with medjool dates, quinoa, parsnips and chocolate tortellini and sweet cravings satisfied with decadent desserts like the double chocolate brownie with salt caramel and milk ice cream. 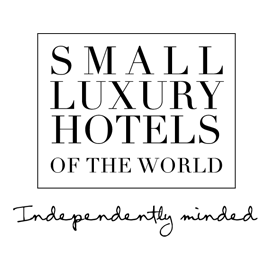 Impeccable service in a relaxed environment and the freshest of ingredients from a Michelin-starred chef will provide the ultimate affordable luxury dining experience in the heart of London’s Mayfair. We not only offer a negotiable salary dependent upon experience but also a range of excellent employee benefits to chefs seeking a challenging but rewarding career in a fine dining environment. If creating spectacular dishes and memorable dining experiences for all guests comes as second nature and you're keen to join us as part of our founding team, send a covering letter and your CV to Grace Kirby.